Image published by blogadmin	on March 4th, 2011	in post Athens: Ancient Agora. 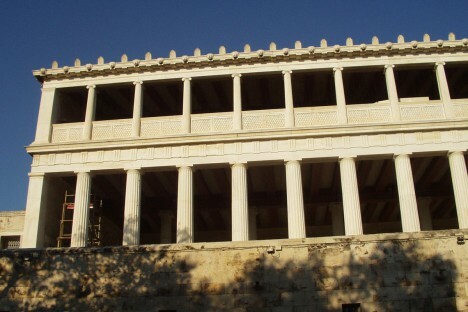 The Museum of the Ancient Agora of Athens is located in the restored Stoa of Attalus. There is a big collection of objects connected with the era of Athenian democracy.